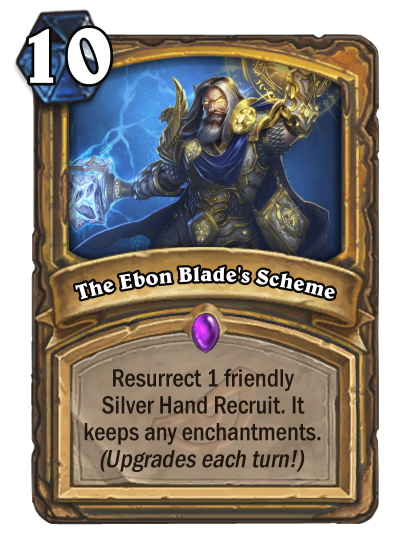 The Silver Hand Recruits are random, like any resurrection effects (N'Zoth, the Corruptor, Mass Resurrection). The effect is limited by boardsize. You need to hold this for quite a while for it to be worth it. The replaced minion is secret for the player as well. 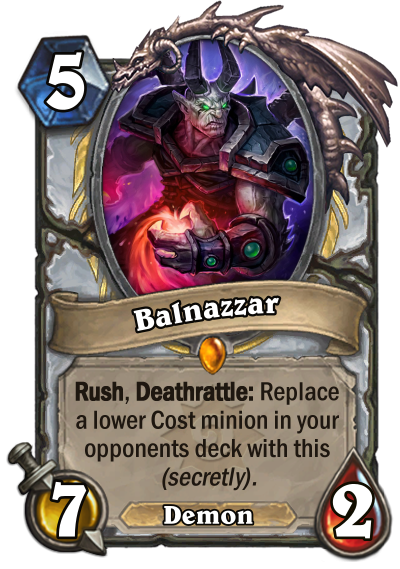 If you copy the replaced minion (think Mind Vision ) you will get a surprise Balnazzar when you play it . If the replaced minion has a (targeted) Battlecry you will get a target indicator, but never an effect. The submission thread will be up anytime soon? 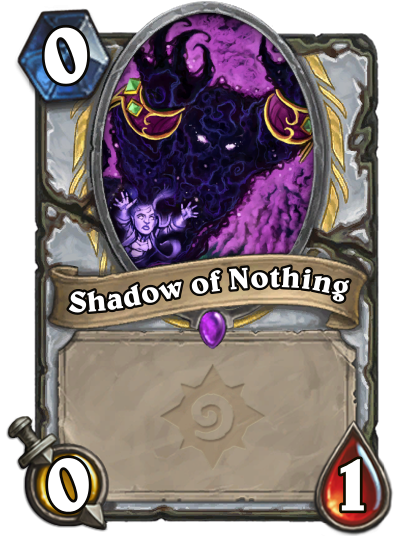 I edited the Original Shadow of Nothing so it won't refer to Mindgames anymore. Warning: Do NOT use against Token decks! TheHoax91 posted a message on Final Rise of Shadows Card Reveal Stream - Live Updates! 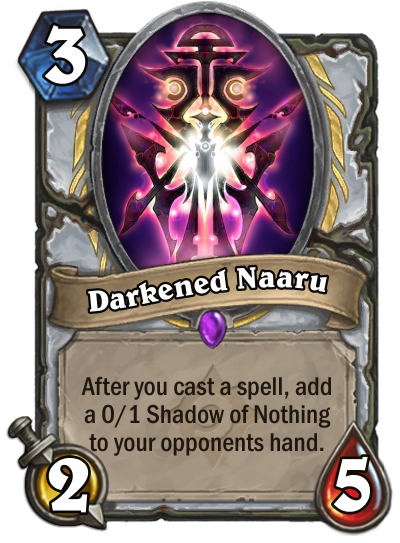 It's Portal Keeper: 4 Mana 5/2 Demon (Rare) with the exact same text as Portal Overfiend. It's on the official Hearthstone site. Make a Brewmaster Legendary (needs to bounce something!!!). 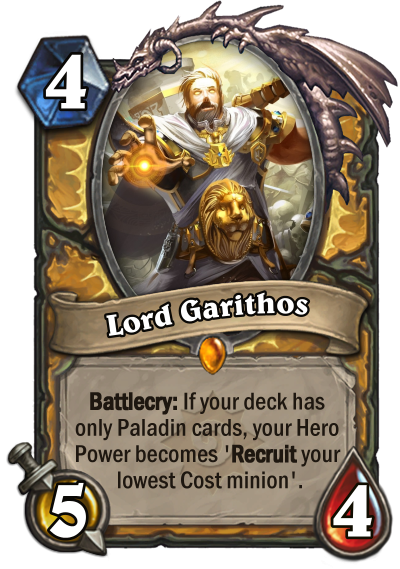 Lord Garithos likes to be around REAL Paladins. 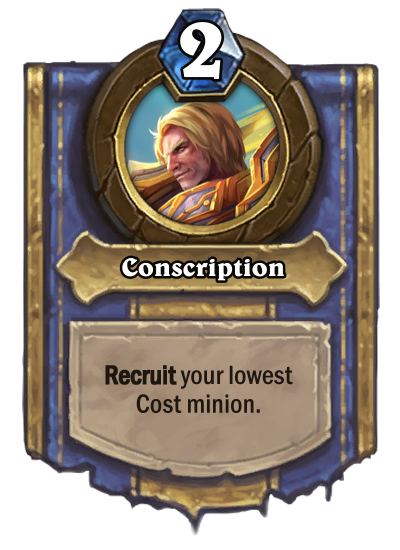 How big can your lowest cost minion be, so you live to see it being recruited?